David received his Ph.D. in Clinical Psychology from the University of Ottawa in 1996. His passion for emotion in psychotherapy dates back to his doctoral years during which he published widely in the area of psychotherapy process research, with a particular focus on how exemplary, distinguished therapists promote and use strong feeling expression in psychotherapy sessions. His doctoral thesis was nominated for the Governor General’s Award, as well as a National Distinguished Dissertation Award. From 1996 until 2006, David worked as a psychologist and supervising psychologist within the federal correctional system. He also has taught child development at the university level, and has co-authored and presented various publications in the areas of psychotherapy research, social skills, and violence/risk assessment. Over his years of clinical assessment practice, David has also been qualified as an expert witness in a variety of areas including clinical psychology, forensic psychology, psychological assessment, and risk assessment. Trained by Dr. Sue Johnson, co-originator of EFT, in the early through mid-90s David has maintained a dedicated interest in EFT therapy over the past 18 years in his private practice as well as other therapeutic settings. During his past 12 years in private practice in Nanaimo, David has specialized in providing EFT to couples, and more recently has also served extensively as an EFT trainer and supervisor of other mental health professionals. Known for his empathic style and therapeutic use of laughter and humour, David helps couples move away from the rigid negative patterns that keep them stuck, and toward a place of more authentic emotional contact, thus opening up the space for partners to find new possibilities and awareness, and to create satisfying and fulfilling ways-of-being together. Leanne Campbell is co-founder and director of the Vancouver Island Centre for EFT, and Campbell & Fairweather Psychology Group in Nanaimo, B.C. 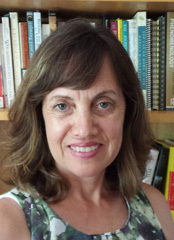 From 1994-2004, Leanne worked as a Professor of Psychology at Vancouver Island University, and remains an affiliate with that institution. She was trained by Dr. Sue Johnson in the early 1990s, and was involved as a therapist in the early EFT studies aimed at establishing what is now the well-known efficacy of EFT. In her more than 20 years of practicing EFT, Leanne has been well-regarded for her ability to quickly develop strong therapeutic alliances with clients, and to use that secure base to explore, discover, and share their deeper emotional experiences in ways that shift them from distressing cycles of interaction to new levels of closeness and understanding. In addition to focusing on EFT therapy within her own clinical practice, Leanne offers training and clinical supervision in EFT to mental health professionals both locally and abroad, and has been involved in the development of a variety of training materials, including DVDs. In addition to training on Vancouver Island and other parts of Western Canada, Leanne has collaborated with a number of EFT trainers in Canada and the United States, most recently conducting training at the Ackerman Institute in New York City in October 2013, in Calgary, Alberta in November 2013, and in Slovenia, Europe in March 2014. Patrick is a certified EFT couples therapist. He received his Ph.D. in Clinical Psychology from Simon Fraser University in 2013. His area of study was in couples and family psychology. His dissertation, which involved reviewing video recordings of couples discussing stressful issues, examined how couples ask for, and provide, social support for one another. During his predoctoral and postdoctoral residencies within the Veterans Affairs Healthcare System of the United States, he attained additional training in couples therapy. He also developed and piloted a short-term group therapy for caregivers of spouses with terminal medical issues; the group was grounded in principles of attachment theory and EFT. He later completed specialized training in EFT from 2015-2018, including an externship, core skills training, and advanced supervision with Drs. Campbell and Fairweather. Patrick brings his wealth of experience in research and clinical practice to couples in distress. He offers EFT for issues common in couples, including communication problems, infidelity, and a lack of intimacy. He is skilled at helping couples identify their negative cycles of communication and diffuse situations that lead to conflict. He works with couples to establish feelings of security and safety in the relationship, with the ultimate goals of expressing empathy for one another and building new connections together. 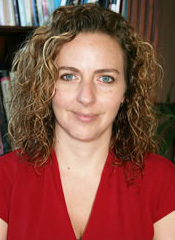 Georgina Maltby discovered EFT during her graduate studies at the University of British Columbia. Her research considered the associations between adult attachment styles and disordered eating, which reflected her curiosity about how secure attachments may provide protection from distress and unhealthy behaviors such as disordered eating. Her interest in EFT continued in both her teaching at Chico State University, California, and her clinical practice. She began her training in EFT in 2004, and recently completed the advanced EFT training in Vancouver, British Columbia. Georgina gravitates towards the deeper emotions that are present for couples that reflect the desire for connection and is skilled at bringing these to life in session. In addition to her work with couples, Georgina brings an EFT perspective to her clinical practice with parent-child and familial relationships. Faith Leather was trained in Emotionally Focused Therapy (EFT) as a graduate student under the supervision of the co-originator of the approach. She is known for her insightful, down-to-earth style and for her commitment toward helping both individuals of a couple feel happier and more connected with each other. As a lifetime member of the International Centre for Excellence in EFT (ICEEFT), Faith regularly attends workshops, seminars, and conferences in EFT for couples, both to continue to further develop her own skills to better help her clients and to share experiences with other practitioners that are learning and teaching the EFT for couples model. Are you looking for other types of therapy beyond EFT? Visit us at Campbell & Fairweather Psychology Group for a broader range of services and more Therapists to choose from.